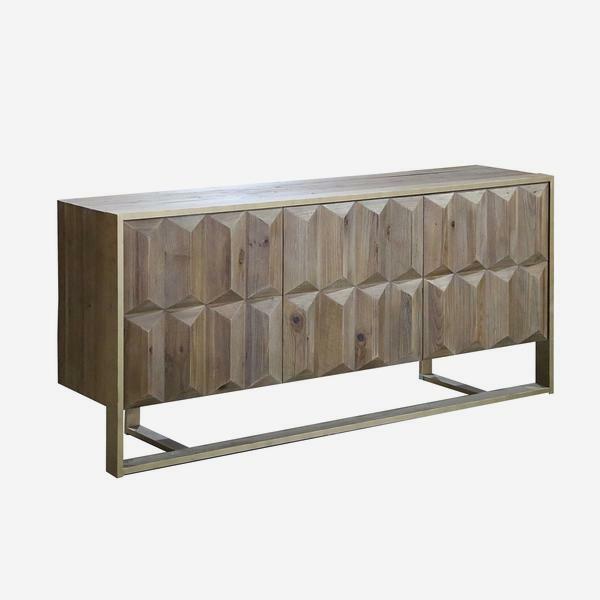 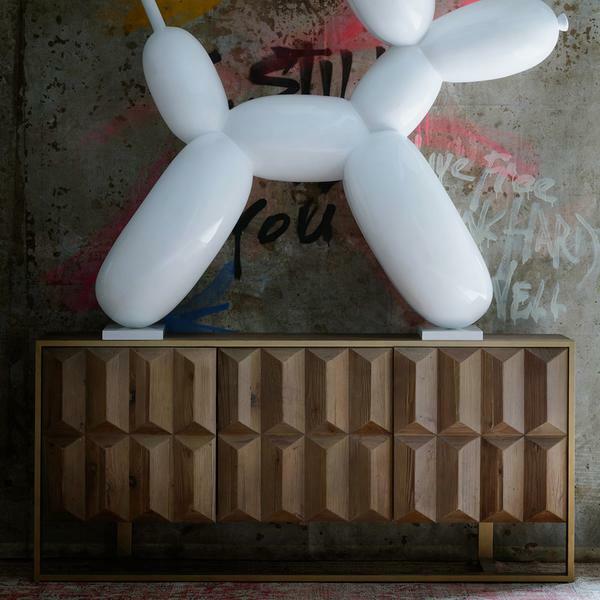 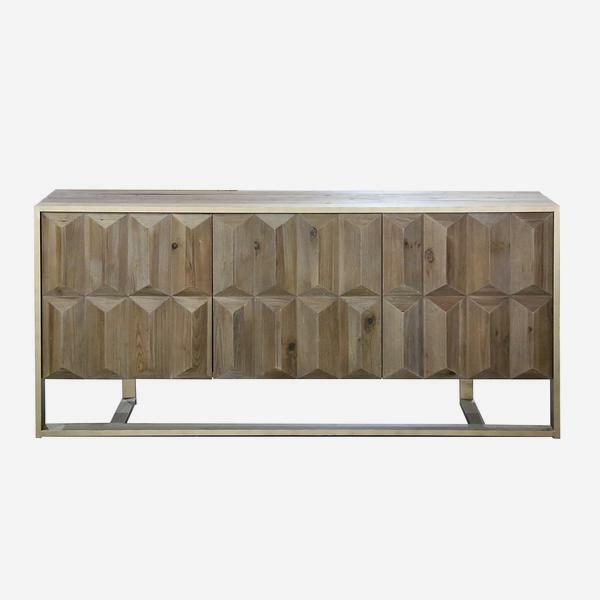 A statement geometric sideboard, inspired by the faceted style of the Cubist art movement of the early 20th Century. 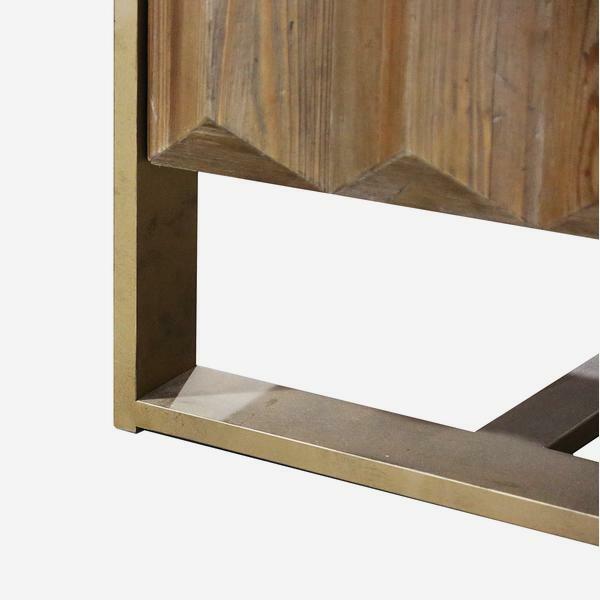 The natural wood finish displays beautiful graining and knots which juxtapose its angular style and, standing suspended in a brass finish frame, Amadeo adds a touch of quirk to a room. 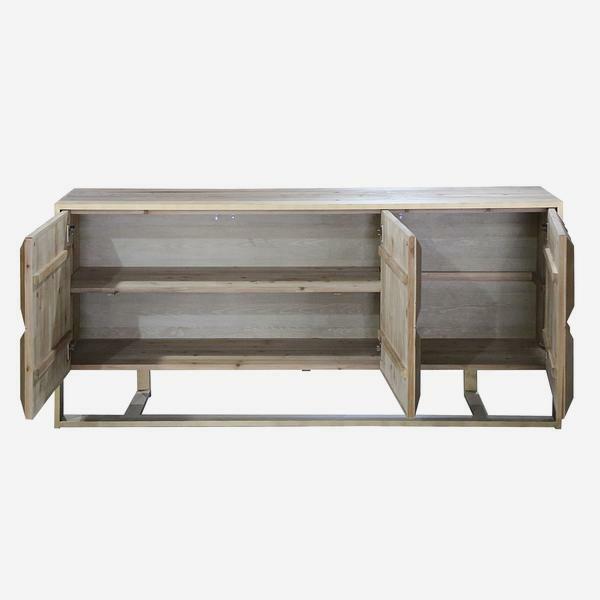 It is complete with three soft closing doors and two internal shelves on one side.